Ten years ago this month my husband and I were living in Germany and took our first major trip: a weekend in Vienna. As a classical music lover all my life and a pianist for 13 years, visiting Vienna was like taking a little kid to Disney World. But the best part of visiting Vienna for me was when I was able to visit the factory and showroom for where they make and sell Bösendorfers: the most prestigious (and expensive) piano brand in the world. Some may argue that Steinways are the best pianos in the world, but I would beg to differ. 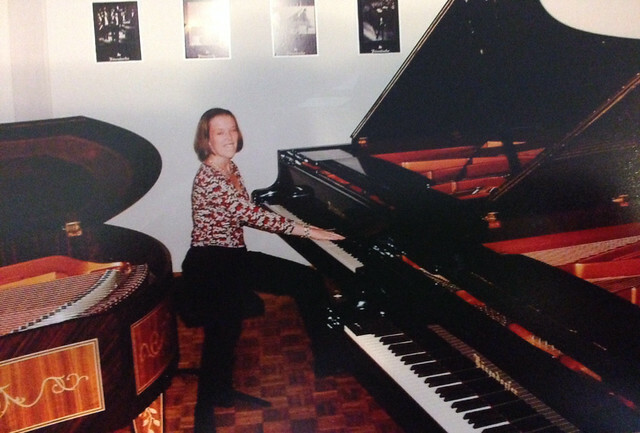 I have played Steinways, and thanks to our trip to Vienna, I have also played Bösendorfers, and I'm here to tell you that even my clumsy fingers were quick and nimble on a Bösey. Steinways feel heavy and clunky compared to a Bösendorfer.